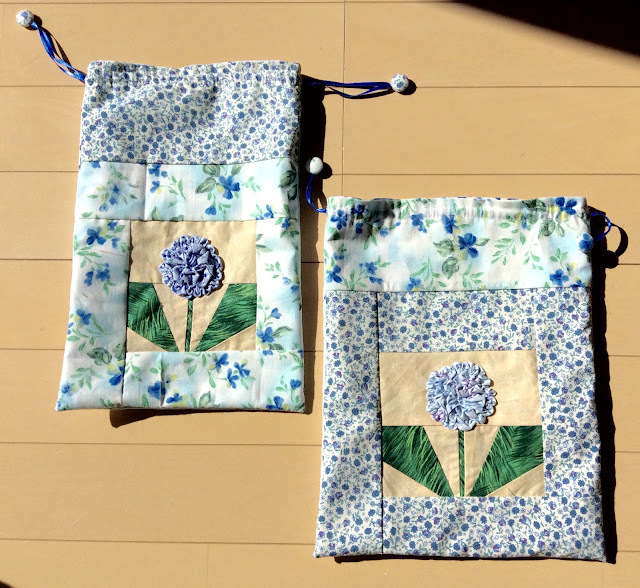 I finished my two little orphan blocks into drawstring bags. 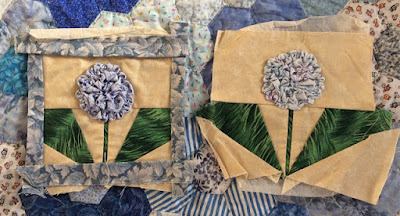 I think I made these blocks in about 1999 at a Paducah Quilt Show class. 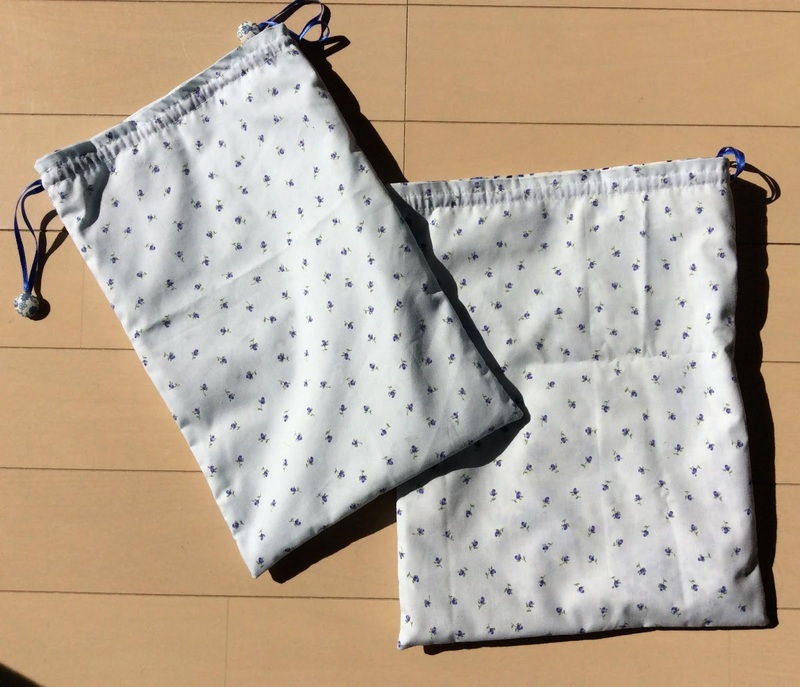 I'm happy to have them finished into something useful. Pamela: Your bags are lovely the flowers are perfect. Beautiful, always good to use blocks for a purpose. 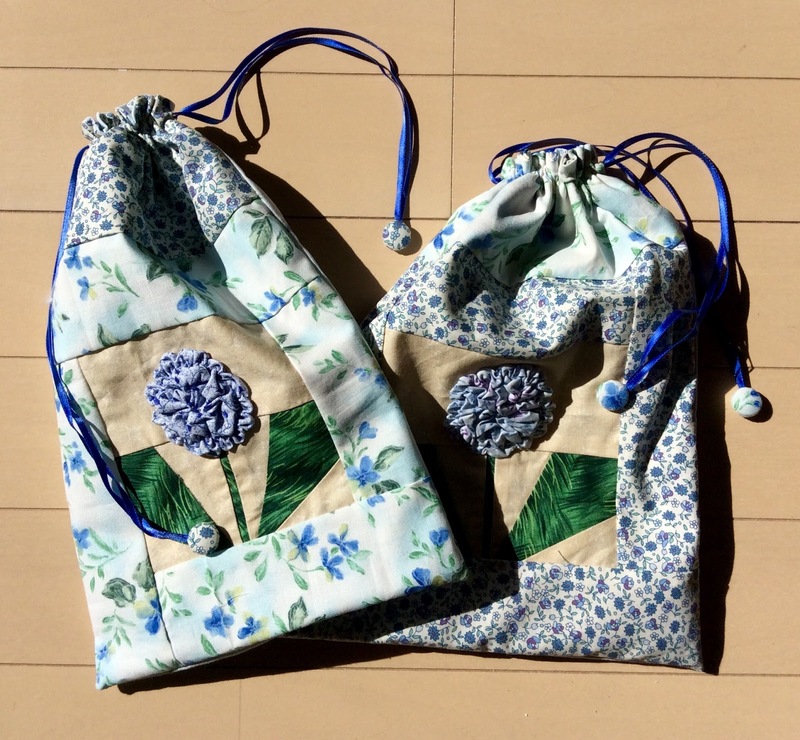 Useful little bags, very pretty. Those bags are gorgeous, Pamela! You planted them in lovely beds of flowers, too. That's a great use for them! The flowers are just gorgeous.